I've spent a few day's trying to re-assemble the core, but although close, no cigar and wondering if there is a way of me putting this thing back together ? Last edited by Roy on Sat Feb 27, 2016 5:04 pm, edited 1 time in total. I service these all the time at work. I feel your pain mate. Happy to help out any way that I can. 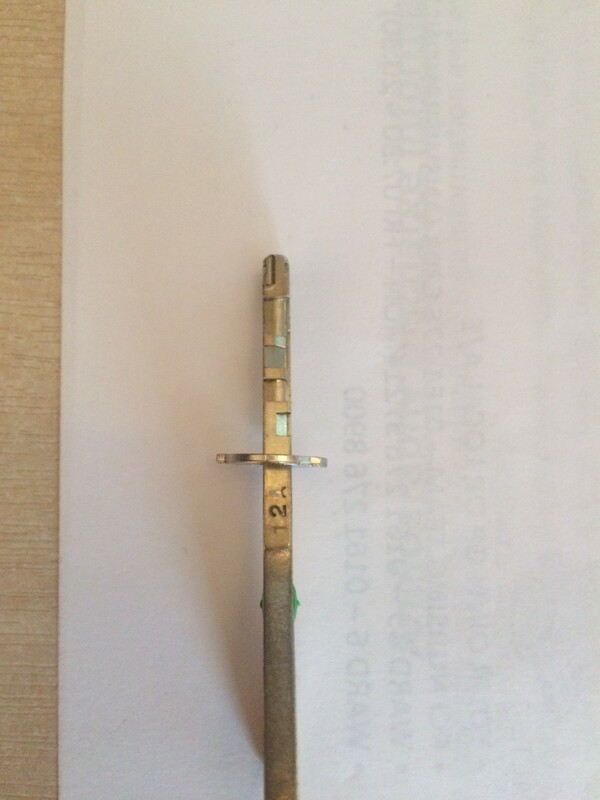 There is also this insert which fits onto the key and I assume that has to be on prior to inserting the key once the discs and spacers are stacked into the plug ? 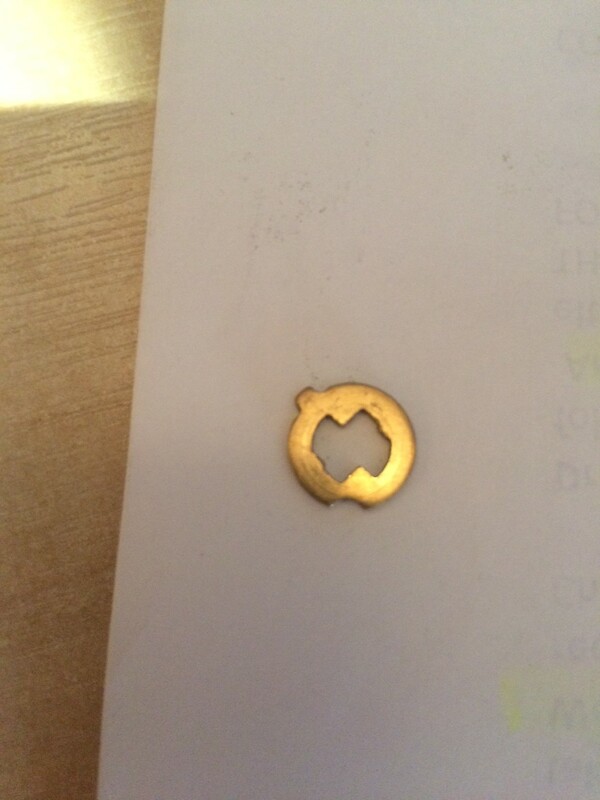 Firstly this, which is nothing like anything else in the lock, I believe this one may sit onto the bottom of the brass plug before anything is stacked ? Here you can see it next to one of the regular spacers for comparison, I believe this one may sit somewhere near the bottom of the stack ? The bent looking washer works as a spring to keep some tension on the disc pack. I would assemble the stack in the carrier, one disc at a time. Insert the key and turn it. If the gate lines up, good. Turn the key back to the 'locked' position. If not, try another disc. When it is correct, add a spacer and the next disc. Repeat until all the discs are installed correctly in the carrier, and the key makes all the gates line up under the slot for the sidebar. Use a tiny bit of lube between each disc. GWiens2001 wrote: The bent looking washer works as a spring to keep some tension on the disc pack. Apologies in advanced but I'm stumped. Doesn't look like a regular Protec system which I deal with. 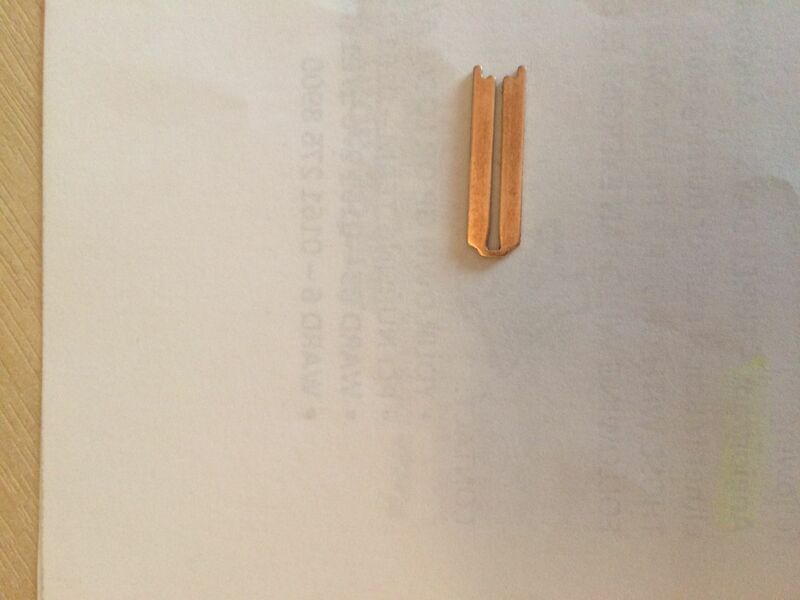 Do you have pictures of the keying discs? Mur670 wrote: Apologies in advanced but I'm stumped. Doesn't look like a regular Protec system which I deal with. Do you have pictures of the keying discs? His is not a Protec system. It is a Sentry system. SImilar, but the key only works on one direction. Also only has cuts on one side of the key. Sort of a cross between the Disclock and the Classic. Here goes with the assembly, lets start with a photo of all the parts laid out in order. Lay out your parts about like this, so you can easily follow. I suggest tracing one of the code discs (brass) on the paper and then comparing all discs on top of it to draw those 6 lines that go from 0 to 5. They cover 90 degrees, as that's what the key turns. Remember that the code discs are NOT reversible, they have to be the same way as in the picture. On your key it is easy to see the key cuts, 0 is a no cut, 5 is a cut that goes around 90 degrees, meaning it is the thinnest/flattest on such location. Everything else is then just eye approximation, like "that is one cut deeper than that one" and so on. 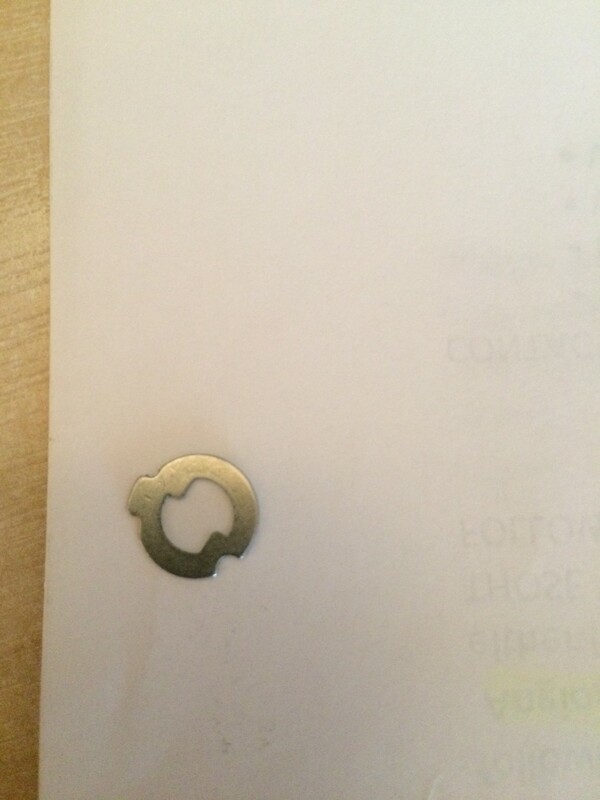 This way you can check what code discs you have, what cuts your key has and then it is easy to assemble them in order the first time. So mark your discs code numbers according to the trace out you made, it makes your job easier. But first, lets start the assembly from the lock body itself. Place the shackle in the lock body so that the longer leg of the shackle is on the side that has the retainer screw hole on the side of the lock. Then smear grease over those locking balls, drop them in the core hole from the bottom of the lock and push them in place with a screw driver or something. Lay the lock flat on the table so you don't upset the balls, because next time your hands are full when coming back to this part. To assemble the disc pack, hold the cylinder open end up and the cutout towards you, thus the locking bar slot is away from you. Hold it in your non-functioning-arm. Then start picking those discs by holding them between your thumb and first digit by the little tab so your fingers are on top and bottom of the disc. This allows you to easily slide in the discs in to the core. When you slide a disc in, turn it counter-clockwise until the tab touches the right side of the core. This is the normal "unlocked" position for discs and thus enables to enter the key in. You start assembling the disc pack from right to left (where it says "BOTTOM" in the photo). That first disc is a thin steel disc with a zero lifter cutout. 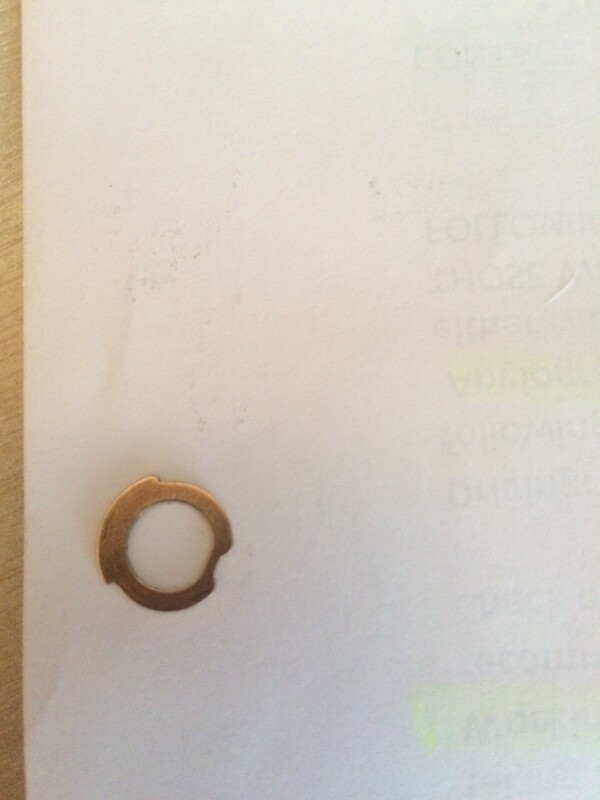 This is what is the "tensioning" disc if you were picking this. It is called lifter because the cutouts one side is sloped more than regular code discs. This is an easy way to distinguish all the 0 discs as these have that property. Next up comes the first (and maybe only) 0 code disc that is of brass. Then comes all the ret in the order of spacer - code disc - spacer - code disc. The order of code discs is according to your key cuts. The deeper the cut in the key, the more closer to the locking bar the disc cutout should be when resting in the core in the normal position as described earlier. 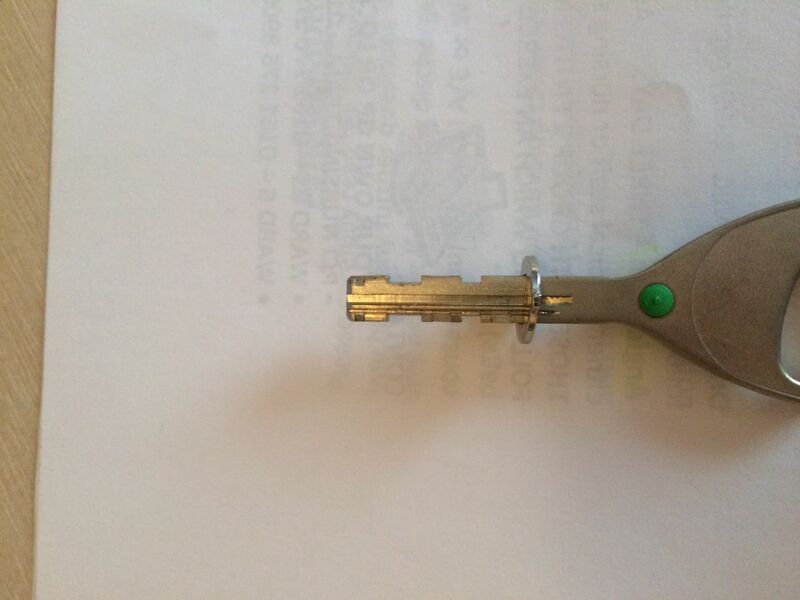 You can test your key by inserting it fully to the bottom and turning until it stops. The cutouts should line up with the locking bar groove. Then turn the key back counter-clockwise until it stops and carefully remove it so it doesn't snag on the discs and rip them out of the core! On top of everything comes the slightly bent washer to take up all the slack in the parts. 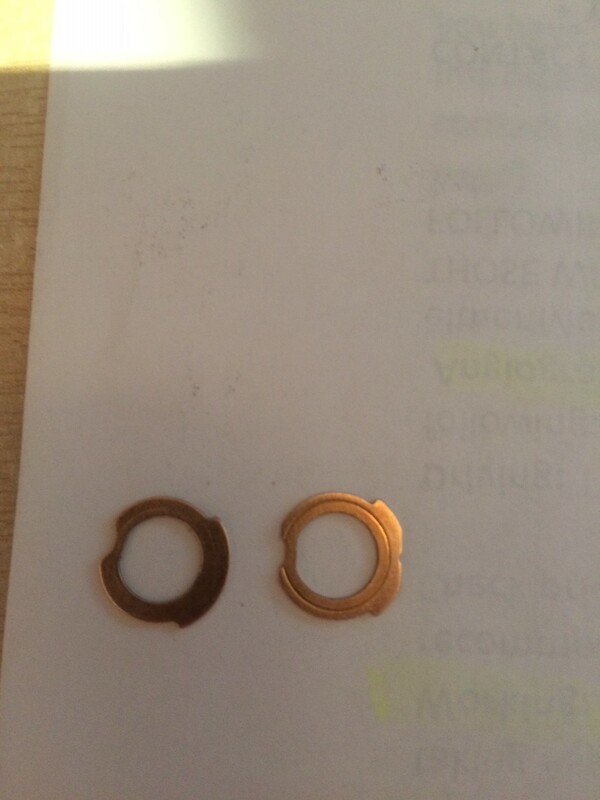 The last one is the two-piece part that consists of the U-shaped copper color piece fitted in to the thin steel profile disc, which is a zero lifter too. It isn't reversible either, so make sure the cutout is to the left. On the back of the core should be a little spring. Dab grease on the end of it to hold it in place. Now, carefully pick up your lock body without disturbing the balls. Line up the locking bar groove of the core with the one in the body by eye and slide the core in by keeping your finger on top of the discs so they don't fall out. The core should be flush where the threads in the body end. Now turn the body so that the shackle is pointing down, so that nothing falls. Drop the locking bar in its groove. 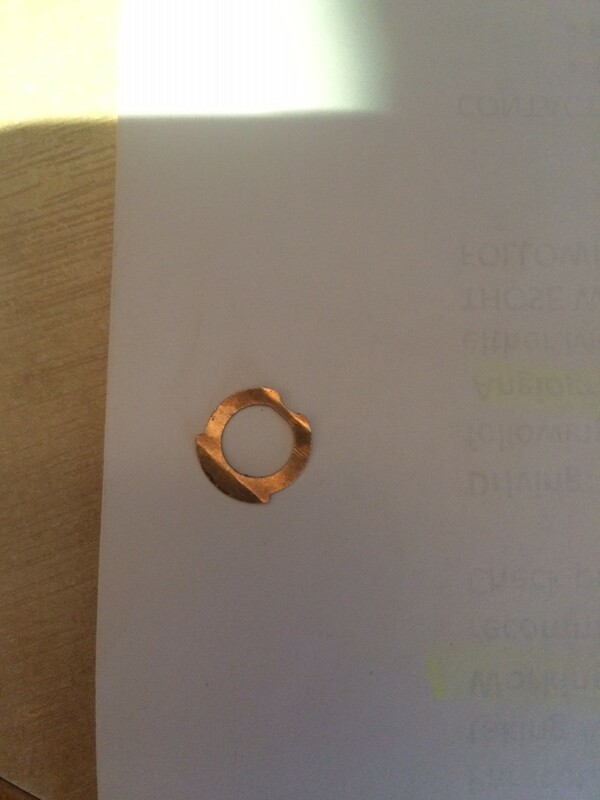 Then place the large thin copper color washer on top of the core and screw down the top cap. Notice that it has four dimples for the retainer screw to fit into and two of these are inline with the little cutouts in the front. Pro tip: Your keys bow end fits those two cutouts in the end cap, so use your keys to turn it to proper orientation. Turn the end cap in as far as it goes, then back it up until one of those four dimples lines up to the retainer screw hole on the side of the lock. Now insert your key, open the lock, lift the shackle up and use your 2 mm hex key to turn the retainer screw in. Please note that the retainer screw hole is angled a little. Snug it up what your fingers can easily do. And as Jaakko says, don't disturb the balls. Nobody likes to have their balls disturbed. GWiens2001 wrote: And as Jaakko says, don't disturb the balls. Nobody likes to have their balls disturbed. How can you stick the grub screw in with the shackle closed?